So earlier today, I completed the first draft of Full Circle, the sequel to Video Rage and the final book in the Reborn City series. I’m super excited to have finally reached the point where I’m ready to work on the final book in the trilogy, and I cannot wait for November to start so I can start on Full Circle. Okay, I can wait, because October is one of my favorite months of the year. Still, very exciting. So, if you don’t know what the hell I’m talking about, the Reborn City series is a science-fiction trilogy I started writing back in high school. 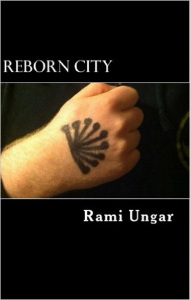 The first book, Reborn City, was published in November 2013, and the second book, Video Rage, was released in June of this year. The series follows a super-powered street gang in the titular city, and their connection with the shadowy organization that rules over it. The series contains themes of prejudice and intolerance, gang violence, drug addiction, and, most importantly, overcoming what others think of you and what you think of yourself. I’ve been working on this trilogy since 2009, so it’ll be good to get it done. As to when it’ll be done, I’m not sure. I’ve planned thirty-three chapters in total, which is between the number in Reborn City and the number in Video Rage. Of course, the number of chapters is never a good indicator of how long it’ll be in total, or of how long it’ll take to write. It’s especially hard to gauge when this is the first time I’ll be writing a full-length novel while working a full-time job. Anyone have a way to divide me into two people so one guy can write and the other can go to work? Anyone? Bueller? Well, at least I’ve established a writing routine that works for me at the moment. Yeah, that thing I was doing with trying to get 250 words written every writing session? It works very well for me. When I start out, I think to myself, “Just get 250 done, and you can be done.” However, around 150 or 200 words, I’m already deep into the story , and I don’t want to stop if I can help it. And if I can make that work for just the outline of FC, I think it’ll work just as well for the actual novel. And speaking of which, I plan to start writing Full Circle in November for National Novel Writing Month (I don’t expect to get anywhere near fifty-thousand words, but I can try to get some words in and see how far I go). In the meantime, I have a book I plan to read as soon as possible for research purposes, and I have short stories for Teenage Wasteland that I want to work on, so I’ll be doing those for a while. Have to keep myself busy, right? 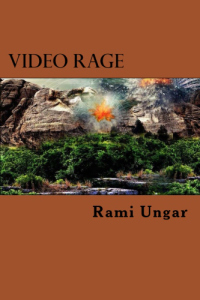 Video Rage, the second book in the RC series. Well, that’s all for now, my Followers of Fear. If I have any updates, I’ll let you know. In the meantime, don’t expect much from me besides the review of the first episode of season six of American Horror Story (what’s the theme?! Somebody tell us!!!) until October 1st, when I have something big planned. And if you would like to read Reborn City or Video Rage, I’ll include the links below to purchase a copy. And if you like what you read, please let me know. Positive or negative, I love feedback from readers, and I’m always happy to hear what you have to say. Baby steps are good! You have a lot going on, so it’s great you’re managing to fit in some writing. You’re telling me. I’m hoping that the routine continues to work, especially since things look like they won’t be changing anytime soon (both a blessing and a curse, in some ways).